For an exotic escape, try *Hotel Palazzo del Giglio* in the heart of beautiful Venice. The history of the city surrounds the resort, with sites such as Piazza San Marco and La Fenice Theater only five minutes away, and the vaporetto only two. The resort even overlooks Piazza Santa Maria del Giglio! The rooms at the resort itself offer every desired modern comfort, complete with fine furnishings, antiques and beautiful Murano glass lamps. 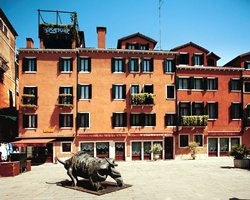 This is a great resort from which to explore Venice on feet! Or if guests prefer, they can take a tour on a gondola. Glass blowing, festivals, beaches and sporting events are also nearby. 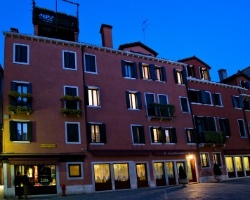 For more information about this charming Venetian retreat, visit www.hotelgiglio.com. Week 7 in Venice every year!